I'm keeping track of my ABCs using title words, now I need to use characters' names. Characters? Yes! Use the name of a main or key supporting character. There are three different levels so you don't have to find an X character but I'm going for the whole she-bang! 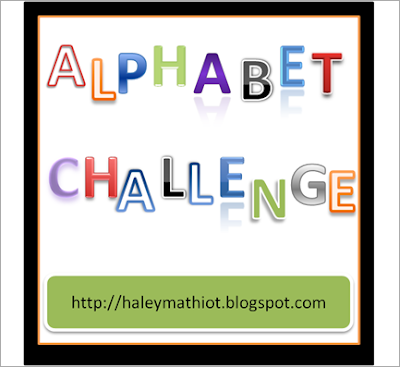 Check out Haley's post and join us! Reading Challenge - Two Cozies! Book-buying Ban is officially over!